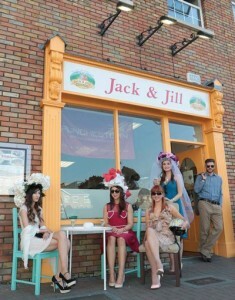 Each year Jack & Jill Foundation needs to raise €3.5M to provide our services. It is only through the generosity of the public and our loyal supporters that we can continue to do this. 2017 marks our 20th Anniversary and below are some ways you can help us this Christmas to bring our special year to a close. Thank you and Happy Christmas from all the team at Jack & Jill. 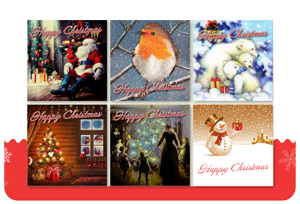 A classic and very popular range of cards to suit everyone’s taste; €6 per pack with 12 cards and 6 different designs! 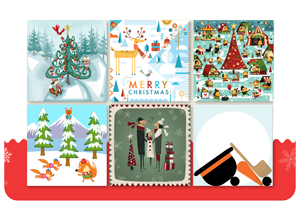 Six leading Irish illustrators were invited to create a Christmas card each with humorous or thought-provoking messages! €6 per pack (12 cards). Scented Candles with a difference that make really beautiful Christmas presents! Irish made from 100% natural wax, each candle contains a diamond costume jewellery pendant, with 2 candles containing the codes for TWO REAL DIAMOND PENDANTS! With 2 fragrances to choose from in Red Dahlia and Coconut, Water & Lime and priced at just €19.95 – light up someone’s life this Christmas! 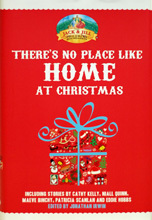 Available Online, from the Jack & Jill office on 045 894538 or from selected Avoca Stores. 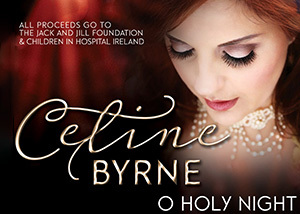 Internationally acclaimed Irish Soprano, Celine Byrne, performs one of our Christmas favourites “O Holy Night” especially for The Jack & Jill Children’s Foundation and Children in Hospital Ireland accompanied by the RTÉ Concert Orchestra. Priced at €2.99 and available to purchase from our online store or download, Celine’s compelling rendition is a must to add to your Christmas music collection and makes a wonderful stocking filler. Serious reading this Christmas to get us all prepared for 2018! Eddie has kindly donated ALL proceeds from The Pivot to Jack & Jill. A very interesting read for the financial gurus, or purse string holders amongst us. This collection of 29 Christmas stories from people like Niall Quinn, Terry Prone, Pat Hickey, Maeve Binchy, Eddie Hobbs and Cathy Kelly describing the true meaning of Christmas is varied and colourful and will warm the very cockles of your heart. Priced at €5 and available from the Jack & Jill office on 045 894538 or online, this is a great book for a great price. The fascinating and tragic story of the man behind the Jack & Jill Children’s Foundation. Available from the Jack & Jill office on 045 894538 and online. Priced at €16.99, this makes a perfect gift for all those book lovers! The brainchild of Michael Gleeson, CEO of ISS Recruitment and Director of North Kildare Chamber, and through his love of music coupled with his recently established label Downda Road Productions, this charity album featuring up and coming singer/songwriters, priced at €5 is available from our online store. CD also available available to download from Amazon or iTunes.. 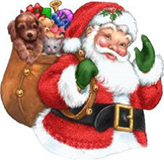 Call in also to “bag a bargain” and do some Christmas shopping! Host a Christmas Jumper Day, do a Raffle in the office or a Gift wrapping service… or organise a Run… there are plenty of ways you can support us over the Christmas! During the countdown to Christmas – a treat for a donation. Perfect for elevenses in the office! Organise a Christmas run – big or small! Lunchtime run? A great way to get in shape for the party season or loose a few calories before all the indulgence! If you’re brave enough to dip into the cold winter water before Christmas dinner? At home or work! Bought or homemade – always a winner! For those who like a warm Christmassy feeling! A really special treat! €6 per pack – 12 cards per pack. Two designs: Traditional & Contemporary. 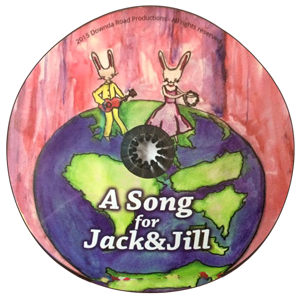 Find a Diamond with Jack & Jill. 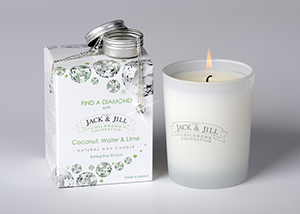 Each Irish made luxury candle contains a diamond costume pendant with 2 containing a REAL Diamond. €19.95 each. Two scents – Red Dahlia and Coconut, Water & Lime. Calling all choir members and even those who just sing in the shower. A perfect opportunity to get together, have some fund and sing to your hearts content! Gift wrapping service at work. Take the pain out of all that wrapping – certainly worth a nice donation! Clear the clutter before the new prezzies arrive! Sshhh….. steal a cheeky kiss with a loved one or favourite work colleague….. Great fun at the office party…. A bigger donation of course required from the boss! Forfeit your Secret Santa or Chris Kringle at home or work this year and donate to a worthwhile cause instead! Always a big hit in the office, Christmas lunches and parties.